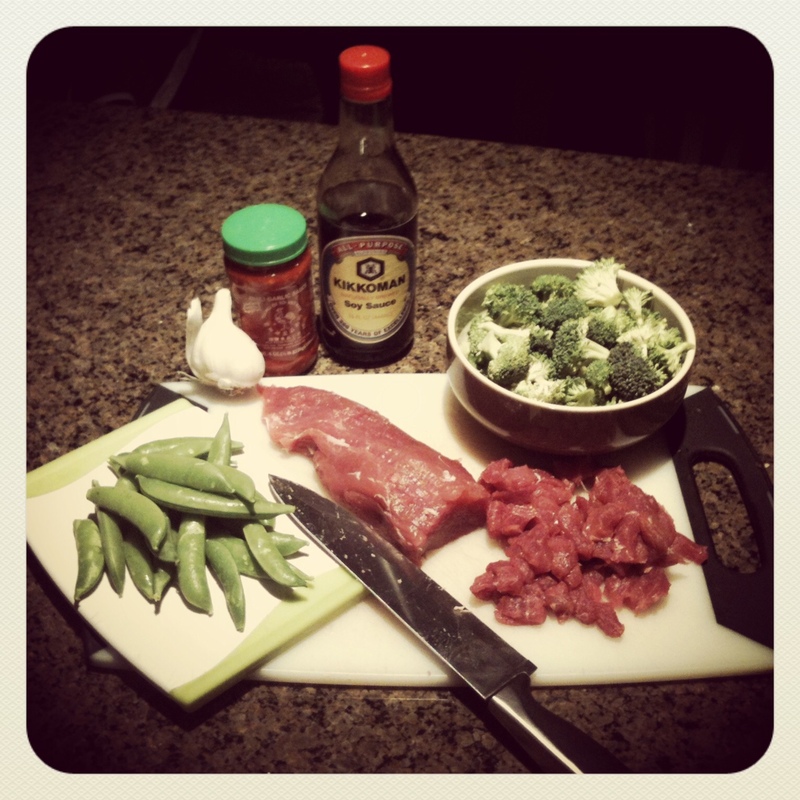 With stir frying, it is important to keep the food moving in the pan to prevent burning. As such, I like to have all my ingredients prepped and ready to go before anything goes in the pan so I can focus on only the pan once I start cooking. Chop/slice your meat and veggies. Prepare your rice or noodles according to the directions on the package and set aside or let the rice/noodles cook while you make your stir fry. Next, you’ll need to prepare the cooking sauce in a small bowl. 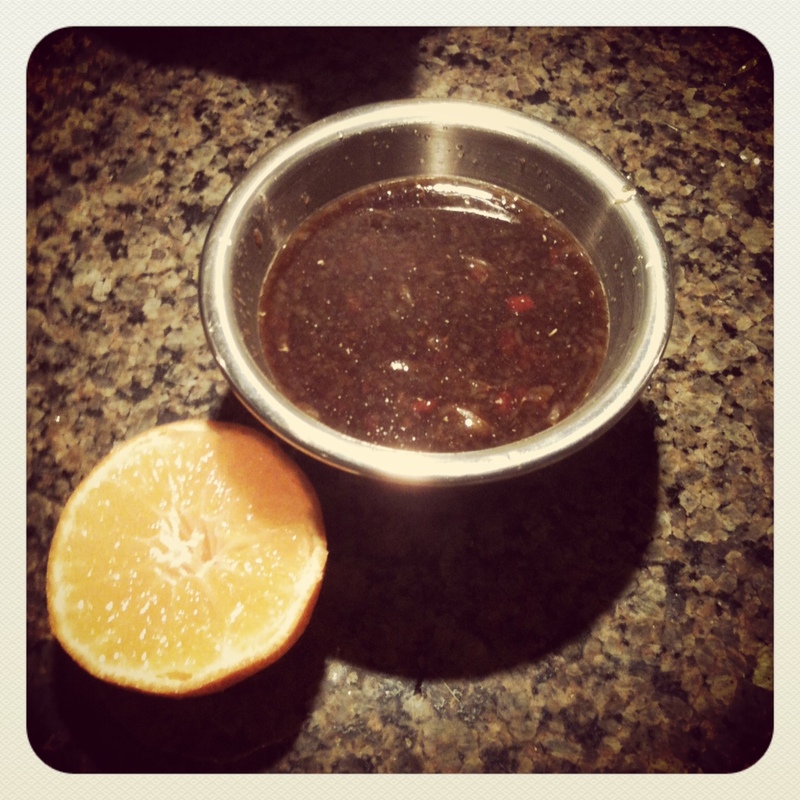 I use 2 tablespoons of chili garlic sauce, 5 tablespoons of soy sauce and the juice of 3 tangerines. Stir this together in your bowl and taste. Adjust as you wish. If it’s too spicy, add a little more tangerine rather than soy as the soy sauce will end up adding a lot of saltiness without cutting the spice much. Now that everything is ready, it’s time to cook. In a wok or stir-fry pan, heat some olive oil over medium-high heat. Add the pork and season liberally with fresh ground black pepper. 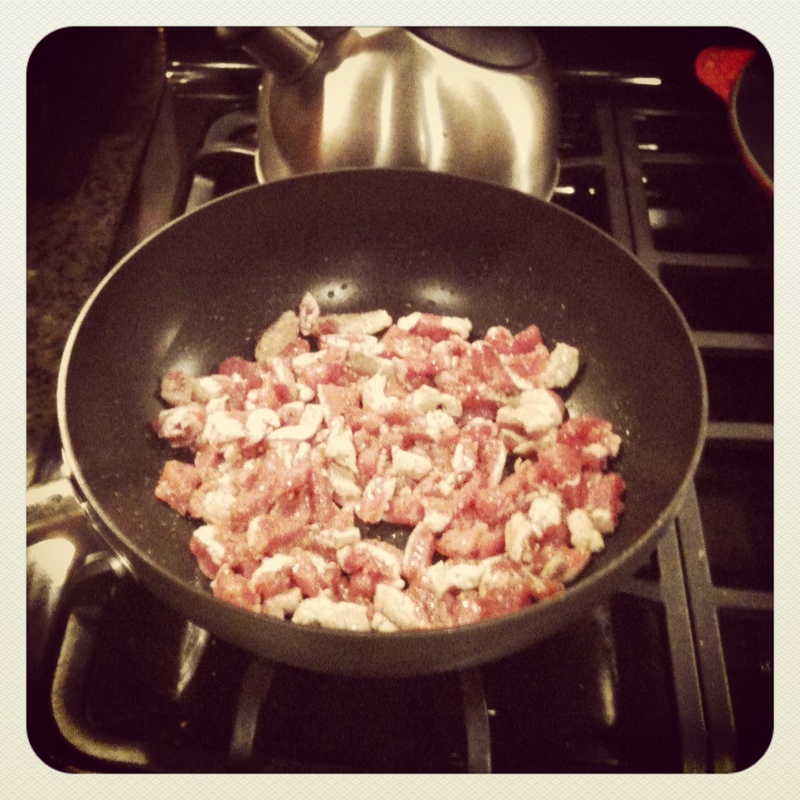 Stir the pork continuously while it cooks. 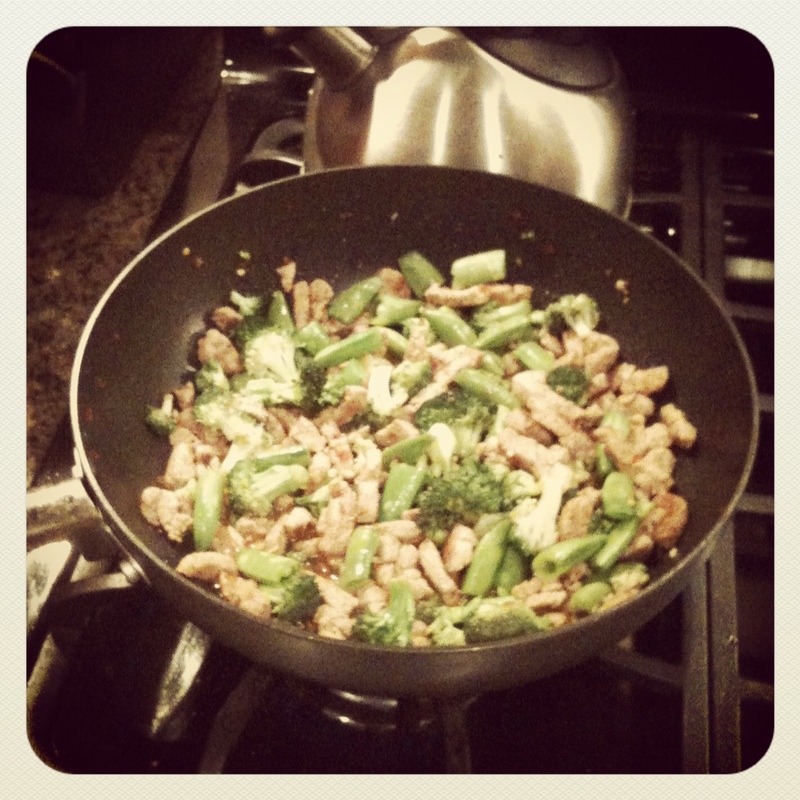 Once the pork is just about cooked through, add the broccoli and garlic, and continue to stir. 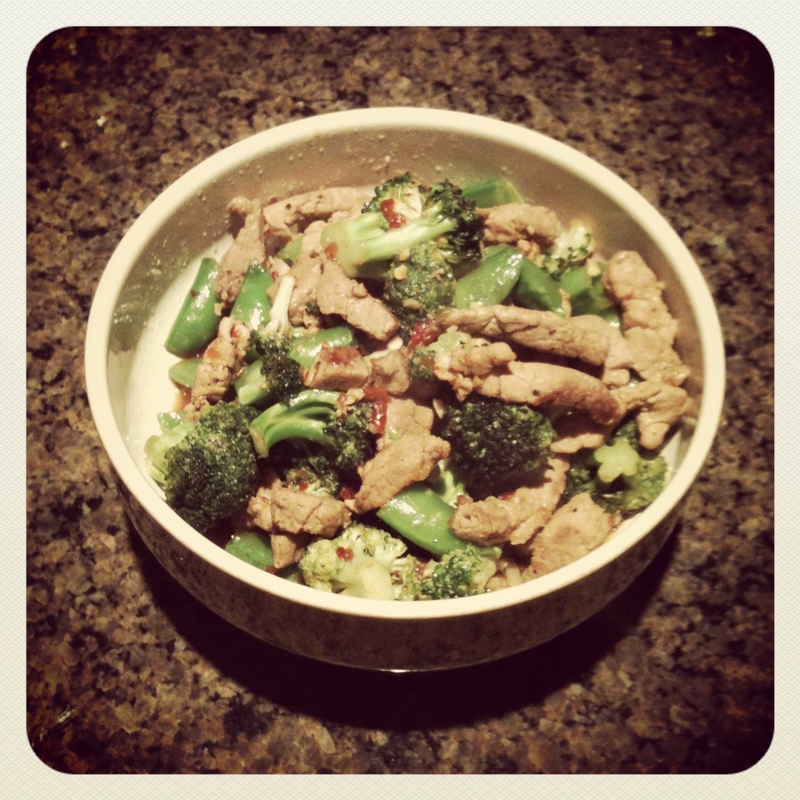 Cook another 3-4 minutes until the broccoli just starts to soften slightly. Add the sauce and cook for another 1-2 minutes to allow the sauce to coat the meat and broccoli. Add the snap peas and stir everything to combine. Cook a few minutes to thoroughly heat the peas. All of the veggies should still have some snap and crispness to them when you’re done. Stir one last time immediately before serving to make sure everything has a nice coating of the sauce. Serve over rice or noodles. I used a brown rice and quinoa blend tonight, and it was delicious. Enjoy!